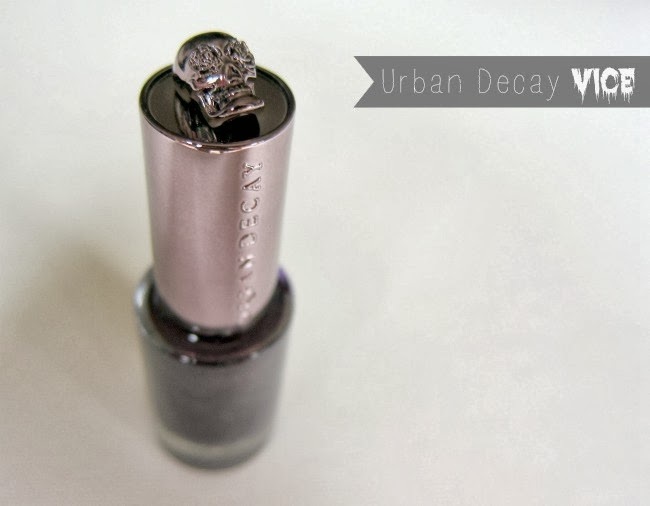 With their gunmetal, skull-topped caps, it was love at first sight with these stylin’ new nail laquers, €14 from Urban Decay. The brand will be releasing new polishes each season with the same rockstar good looks that you see here. Excuse my poor dry little fingers - I've been sick and seem to have dried out and shrivelled up in the process! Happily, what’s inside is every bit as impressive: the formula is fantastic. It glides over the nail with no dragging, and dries quicker than the norm to a shiny, streak free finish. Plus, it’s 5-free (so no formaldehyde, toluene, DBP, formaldehyde resin and camphor), for those of us worried about those chemical nasties. The brush is nice and dense and easy to work with, and in two coats you’ve got yourself a gorgeous, glossy autumn mani. 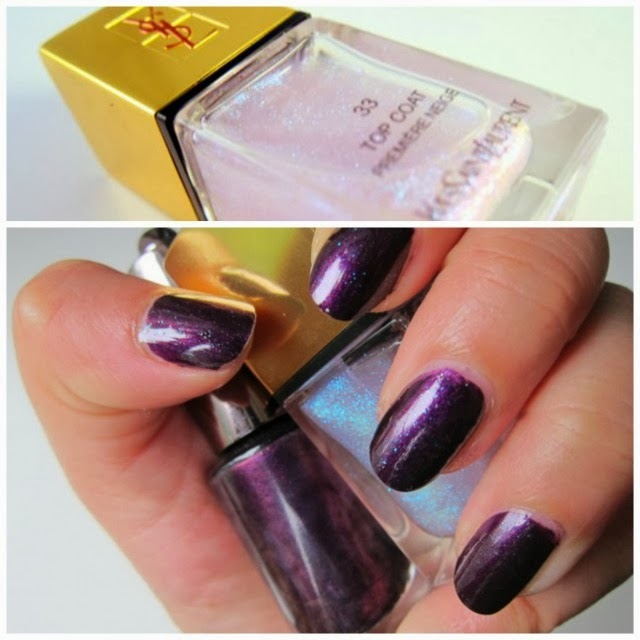 The colour is delicious, too – a rich, luxe purple with both warm and cool toned shimmer. I recently bumped into Kat from Dolly Rouge, who was rocking Chanel's Taboo on her talons. Now, Taboo is definitely more blingin’, with those little glass flecks really dancing in the light. But the base shade is incredibly similar – and even more so with a layer of YSL’s topcoat from last Christmas, Premier Neige. What’s your favourite autumn polish? Any I need to add to my collection? Fab colours. I have to admit I can't keep Chanel Mysterious off my nails at the mo, I love it! Beautiful!!! Love A/W nail colours, and this is a gorgeous one!! Gorgeous colour, very similar to the Chanel shade! Oh, wow!! Lovely colour and the packaging is sooo cool! Love it!! Wow - I love the bottle and the color! Thanks for the review! What a dramatically gorgeous color! I love Taboo. So glad to finally see a comparison post (although, I haven't been actively looking)of the two, as I suspected them to be fairly similar. I just love that deep purple color! Gorgeous colour, I love purple. i love the packaging of urban decay! that color is fierce. Ohh this colour is positively regal, looks amazing! Have a wonderful weekend doll! Such a great color! You have a cute blog! On to another winner with the packaging! The polish could be awful and I think I'd still need to get some! So it's just a bonus that the polish is gorgeous as well :). They had me suckered with the old lipstick packaging too even though the daggers made them so annoying to store and the formula itself was tragic. The color is lovely! I love UD nail polishes! Very vampy! Lovely colour. The bottle is really cool too. Hope they bring lots more out!